Click the link below to go to the Thorntons Facebook page. 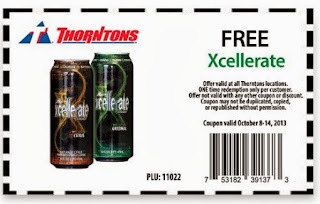 "Like" Thorntons then click the welcome tab, then click on coupon. Print your coupon then redeem it in store for your free energy drink.